A participant in the fifth annual Del Mar Mud Run is undergoing rabies testing because a rabid bat landed on him during the 5K obstacle race. NBC7 San Diego reported that the bat that came in contact with the runner was captured and turned over to the County of San Diego Health and Human Services Agency (HHSA). 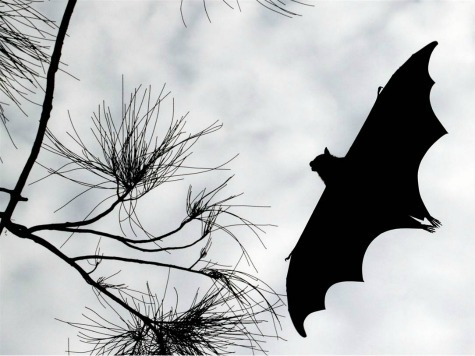 Tests conducted by the San Diego County Public Health Lab confirmed that the bat was infected with rabies. Initially, the health department was unaware of the identity of the runner, but with the help of the race’s organizer VAVi, the affected individual was notified by local media alerts. Keith Cunningham, VAVi’s vice president of events and sponsorship, claims that the company stresses safety as a “number 1 priority” in all of the events they plan across the country. “Within hours we found the person and they’re getting taken care of. We appreciate the help the city and media has given us,” said Cunningham. HHSA officials are concerned that other people at the Del Mar Mud Run, which was held at the Del Mar Fairgrounds on October 4, may have come in contact with the rabid bat. “We want to make absolutely sure that no participants or observers were potentially exposed to this deadly disease,” said Wilma Wooten, M.D., M.P.H., a county public health officer. Normally, you would know when to be tested for rabies because you would feel the bite. However, according to the HHSA, it can also be transmitted if the saliva from a rabid animal makes contact with a person’s eyes, nose, mouth or open wound. Symptoms from rabies can take up to months to manifest after exposure. Health officials explained to NBC News that once symptoms develop, rabies is almost always fatal. The Center for Disease Control (CDC) stated that less than 10 documented cases of human survival from clinical rabies have ever been reported. According to the CDC, the early symptoms of rabies in people are similar to that of many other illnesses, including fever, headache, and general weakness or discomfort. As the disease progresses, more specific symptoms appear and may include insomnia, anxiety, confusion, slight or partial paralysis, excitation, hallucinations, agitation, hyper salivation (increase in saliva), difficulty swallowing, and hydrophobia (fear of water). Death usually occurs within days of the onset of these symptoms.